Happy Canada Day friends! 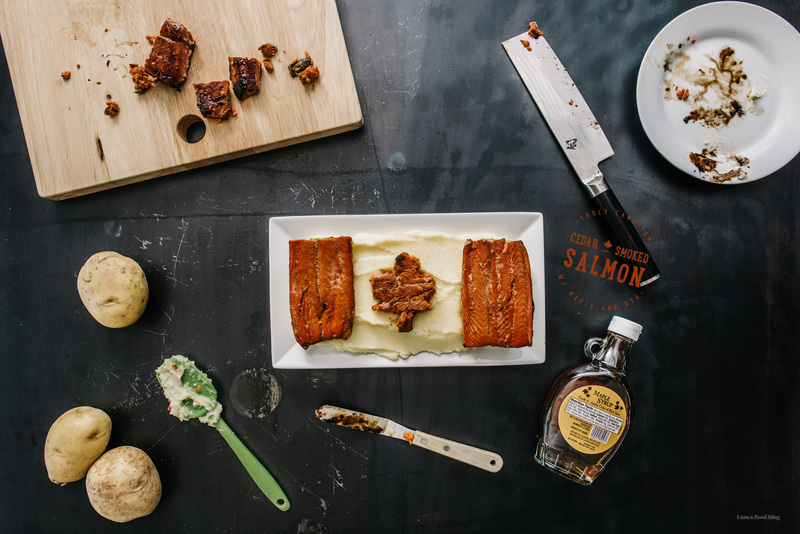 I love making flag foods but Canada’s flag isn’t the easiest to render in food. I wish I was a little more adept at it. I’ve been wanting to make Canada Day jello, much like this American flag jello I made a couple of years back, but maple leaves are hella hard to create in food (I really should just buy a maple leaf cookie cutter). I’ve done my share of strawberry shortcakes, pavlovas, and the such, but this year I thought I’d bring a savory swing to things. I had to get Mike to show me how to cut out the maple leaf. He used a piece of shrimp cake and I was throughly impressed by his retention of how many points the Canadian flag has (11, in case you’re wondering). I was also impressed because he made a slightly modified version for me that would be more achievable with the flakiness of salmon. All in all, I think the flag came out great! 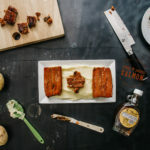 I put it on a bed of mashed Yukon gold potatoes – the greatest export Canada has, along with Canadian rye and maple syrup. Feeling so fresh and patriotic this year! In a sauce pan, bring maple, juice, rye, and soy to a boil until thickened and syrupy. Let cool. 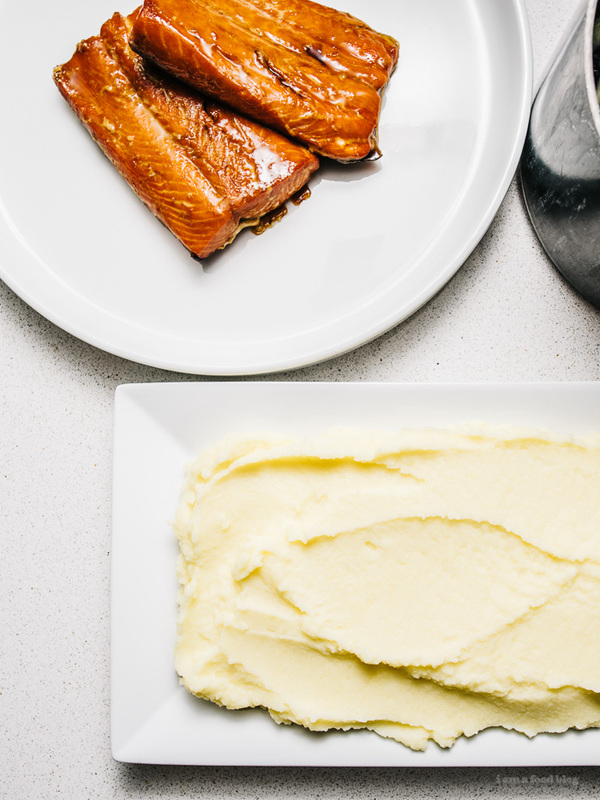 Lay out the salmon in a single layer in a deep dish, pour on some of the glaze, reserving some to serve. Let marinate for 1 hour. When ready to cook, preheat the oven to 400°F. 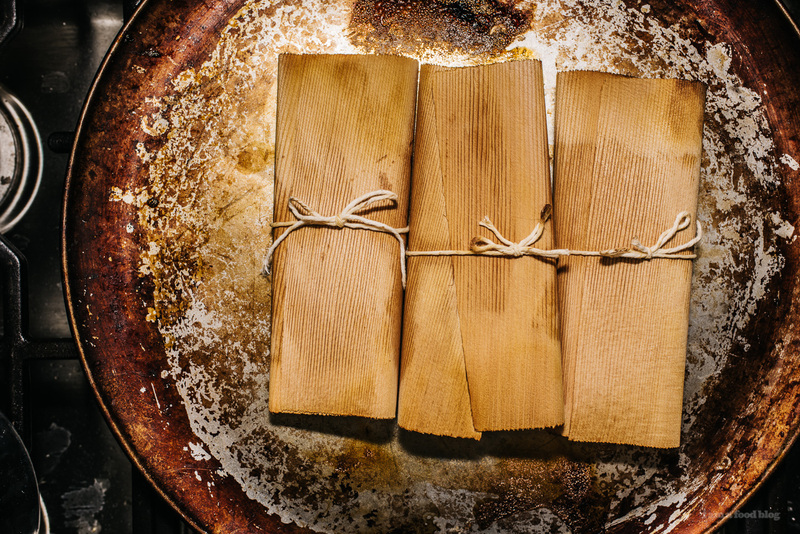 Completely soak the cedar paper in a a shallow pan of water for at least 10 minutes. 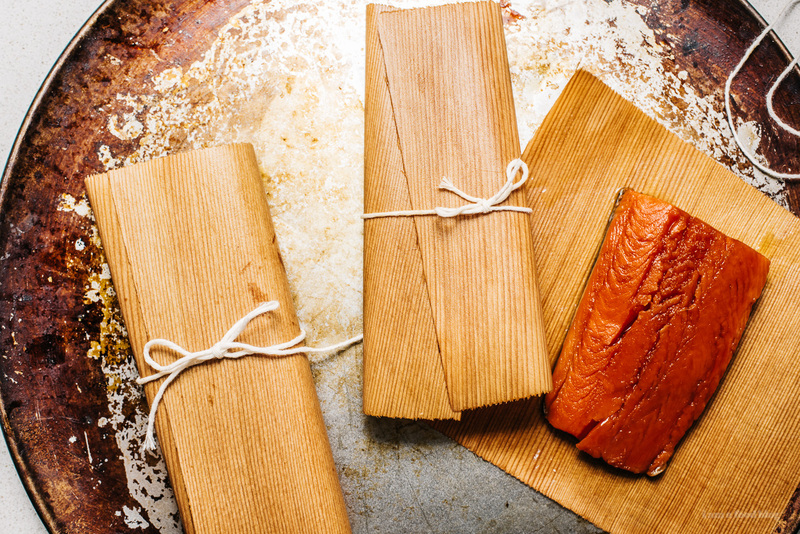 Shake off excess glaze from the salmon and place in the center of a sheet of cedar. Fold the cedar over the top and tie into a packet. Repeat until all pieces are wrapped. Arrange the packets in a layer on a roasting pan roast for 8 to 12 minutes, depending on the thickness of the fish. Transfer the packets to a plate, remove the ties and open the papers. Season with salt and pepper to taste and serve immediately. 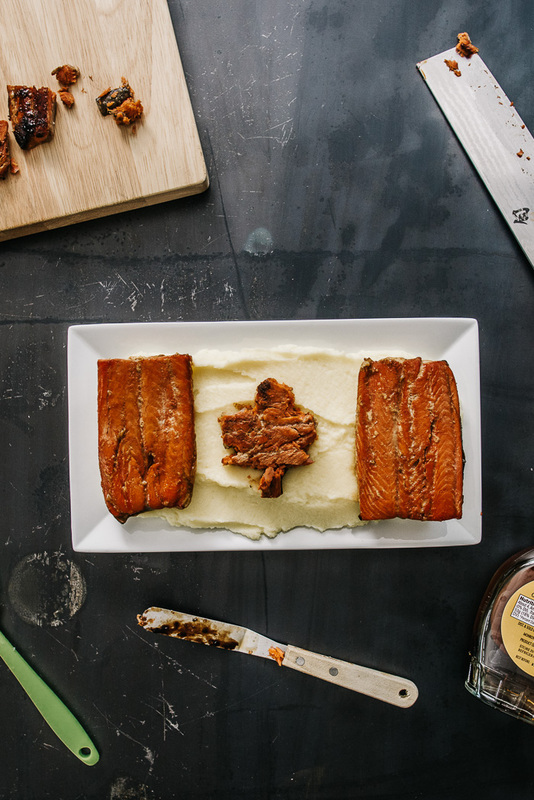 To make a Canadian flag, prepare a bed of mashed potatoes or rice on a rectangular plate. Place two even slices of salmon on either side. Cut a maple leaf shape out of another piece of salmon and place in the middle. Enjoy! 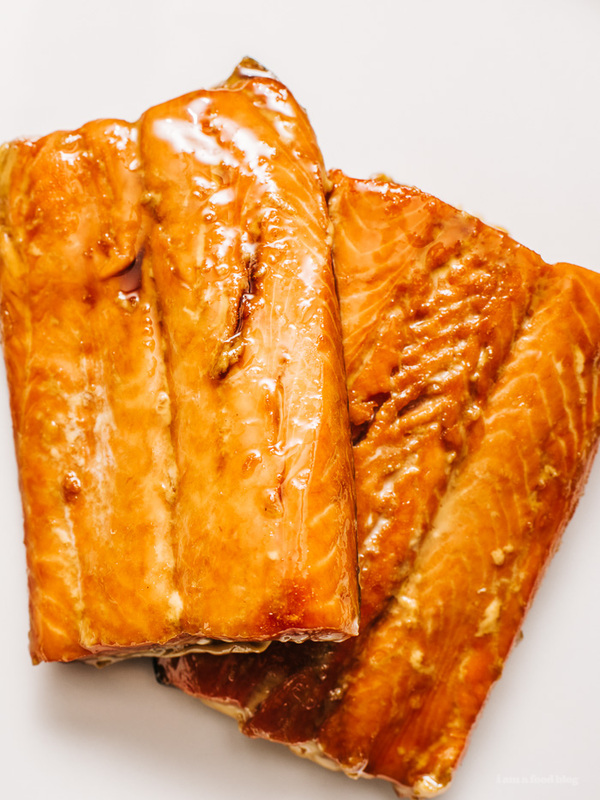 Alternatively, if you don’t want to use cedar papers, you can simply pan-roast the salmon to your liking. Heat up a non-stick pan over medium high heat and fry, flipping once. A minute before ready to serve, add the glaze to the pan. How about grilling it on cedar planks? So creative! It looks and sounds delicious. How much salmon did you use for the quantity of glaze? hi catherine, it’ll make enough glaze for 1 lb of salmon with some left over to pour on top! Made this last night and it was sooooo yummy! Didn’t find the cedar papers, so pan-roasted it as you recommended and it turned out perfect.